NEWARK, N.J. — From the opposite end of the ice on Thursday night, New York Islanders goaltender Thomas Greiss was seeing his opposite number put on a stellar performance, looking near unstoppable in turning away a myriad of gilt-edged scoring opportunities from the Islanders. 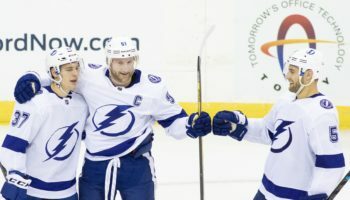 It’s a good thing then for New York that Greiss himself has been a step above near-unbeatable in the past few games, putting on his own display of shot stopping that allowed the Islanders to squeak out another win against one of its New York City area rivals. Greiss stopped 30 of 31 shots while Josh Bailey scored the only goal in the shootout in the fourth round as the Islanders defeated the New Jersey Devils 2-1 at the Prudential Center, completing a four-game season sweep of New Jersey. New York has won seven of its last 10 games and its goaltending is the main reason for the surge. In his last four games, Greiss is 4-0 with a 0.48 goals against average, stopping 128 out of the last 130 shots to come his way. The magnetic Greiss continued to have pucks just hit off of him, including in the shootout when he made saves on both Drew Stafford and Jesper Bratt after New Jersey’s first two shots in the shootout missed the net. 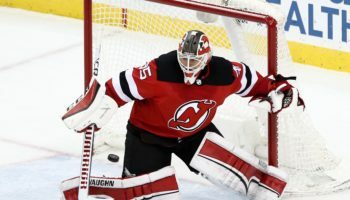 On the fourth opportunity against Devils goalkeeper Cory Schneider, Bailey scored on the forehand to improve the Islanders to 17-4-2 since Dec. 15. Bailey knew that his opportunity to be the hero would not have come if it wasn’t for Greiss’ exploits. 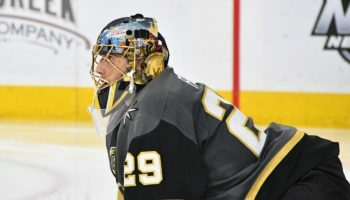 The same surely could be said about Greiss’ opposite number, Schneider, who made his first appearance in 2019 after being out since Dec. 17 with an abdominal injury. 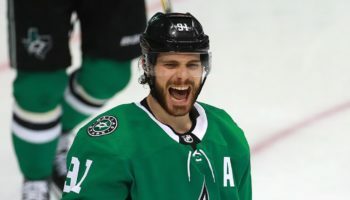 In the midst of a winless drought that has not seen him win a game since December of 2017, Schneider looked as good as he has been since the beginning of last season, but his efforts still was not good enough to put him in the win column. Despite that, Schneider was able to make some key saves that reminded many of the Schneider of old, including a double save in front on Anthony Beauvillier to keep the score tied at 1-1 late in the third period. 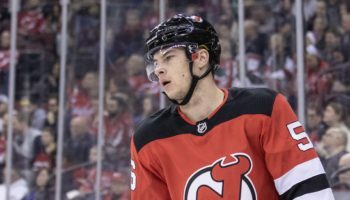 Kevin Rooney scored his second career NHL goal to give New Jersey a 1-0 lead 5:32 into the first period before Mathew Barzal tied the game on a breakaway later in the first at 13:42.